It’s an ongoing and escalating disaster with an estimated 3.8 million Americans using opioids for non-medical reasons every month and 142 Americans dying every day from overdoses. Opioid overdose is now the leading cause of death for Americans under 50. Non-fatal overdoses that require emergency medical care are even more prevalent and have increased by a factor of 6 in the past 15 years. Historically, opioids have been safely and effectively prescribed for acute trauma, before and after surgery, cancer pain and pain associated with end of life illness. However, we have seen a major change over the past couple of decades, with opioids being increasingly prescribed for many non-acute (like chronic back pain) conditions. Alarmingly, more than half of those patients receiving opioids therapy for chronic pain for more than 90 days are still receiving opioids more than 4 years later. As a result of these disturbing trends, there is an increased sense of urgency among medical professionals to develop more stringent guidelines for the use of opioids and to offer pain treatment options that do not require the use of highly addictive drugs. Evidence supports the use of opioids for treating acute pain, however, “the evidence is limited for the use of chronic opioid therapy for chronic pain.” Acute pain is the body’s warning signal that something is wrong and needs immediate attention. Chronic pain, on the other hand, may be a different kind of signal requiring a different response. Using powerful and addictive painkillers, in this situation, may only add to the problem because increasingly higher doses are often needed to control the pain. In summary, if you, or someone you care about, are one of the estimated 100 million people with chronic pain you have good reason to be concerned about the addictive risk which comes with being prescribed an opioid. It is important that you discuss all the potential risks and benefits thoroughly with your physician. The good news is that the development of effective and safe alternatives is now a top priority among researchers and specialists are exploring a range of nondrug, noninvasive treatments which are proving effective in relieving the many chronic pain problems like- back pain, fibromyalgia, severe headache, knee arthritis and neck pain. 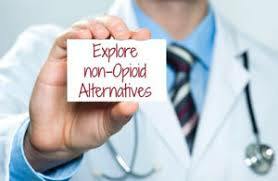 In my next post I will summarize some of the research on the effectiveness of these alternative nondrug treatments.